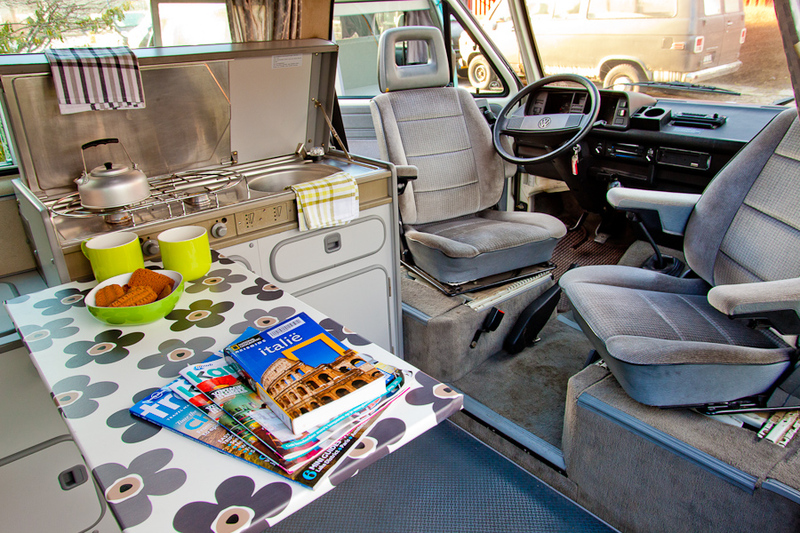 Renting a Volkswagen Westfalia T3 with elevating roof means you rent a authentic campertype with a practical, perfect working interior. exciting to sleep on top! 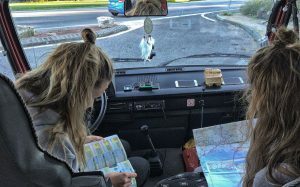 Can I use my navigation system in the motorhome? 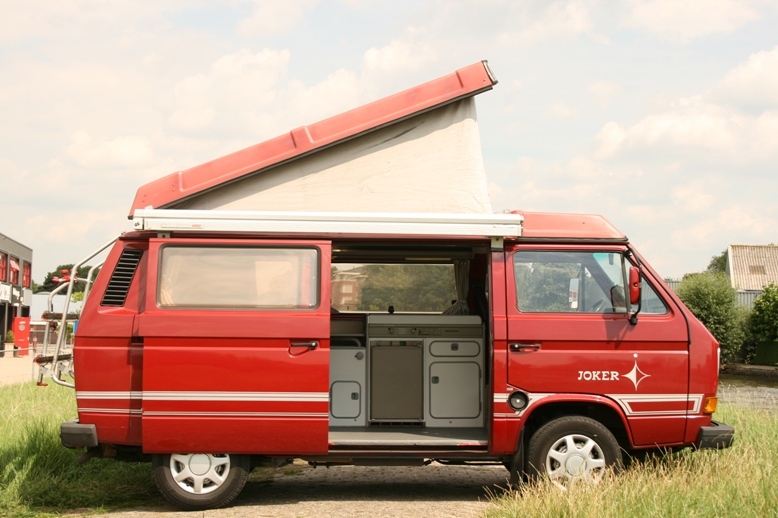 The camper is equipped with a 12 volt lighter socket for navigation systems. Can I connect my music on my phone or tablet to the radio system of the motorhome? The radio CD player has a conductor (jack-jack plug), it covers most devices in the world, so you can listen to your favourite music on holiday! How does the campers handle hilly and mountainous terrain? T2, T3, T4 campers do have a bit of trouble getting up hills and mountains. This has got to do with the weight of the camper, plus people and luggage in combination with the power of the enigne. You do get to the top in the end but not as quickly as you would with your own car. Luckily, you are on holiday, and if your doing it right, not in a hurry! 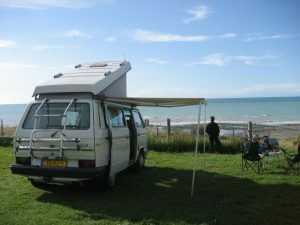 T5, Ford Nugget and Fiat campers go quicker to the top! Is smoking allowed in the camper? Smoking is not allowed indoors. 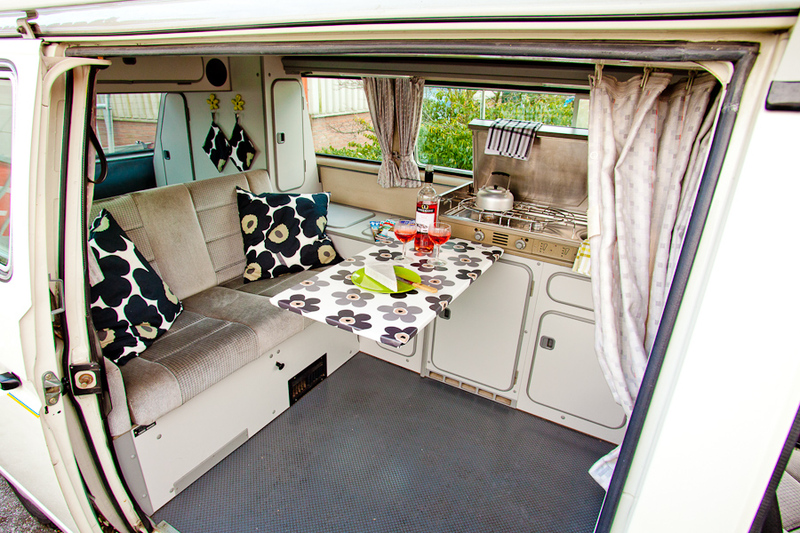 We want to keep the camper as pleasant and fresh as possible for our customers.